A few months after flying Watford into the side of a mountain, Marco Silva has finally taken his dream job of being Everton manager for a couple of years. Watford are very pleased about it! 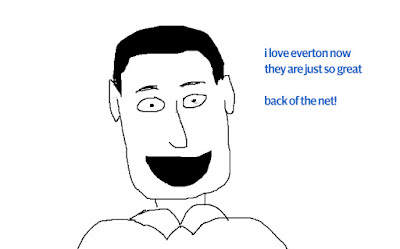 They are in fact so happy about it that they plan to take Everton to court and say 'how dare you steal our manager' and then some other adults wearing fancy dress can be all important in one of those fancy halls and say 'I decree' (because they can say decree) this and that and Everton will have to pay a few million probably. It doesn't really matter. This is like trying to get your money back for a pint that you had because it was the last one in the barrel and the barman just wasn't that great at pouring it. "That man over there has a perfect pint" you argue, but everyone has already moved on. Just buy another pint ffs.